Here, at the Wisconsin Union, our dining team strives to offer the best dining experiences possible. In order to do that, we need the best team members, who believe in the Union mission to provide experiences for a lifetime; enter Sabi Atteyih. Distribution manager by day, father of three by night, Sabi (known to many Union team members and patrons as “Chef Sabi”) has made his mark on Union dining and made many taste buds happy. His love of culinary began long before his time at the Union. When he was just 10 years old, Sabi already had a passion for food, more specifically food prep. Sabi was hooked on preparing food, especially fruits and vegetables. Sabi’s family moved from the Middle East to Madison and soon after took over the operating of a deli in 1985 on Madison’s west side. Sabi Attiyeh leads a Wisconsin Union Mediterranean cooking class. After closing the deli in 2011, Sabi pursued a career in business but maintained his passion for food production and restaurant work; here is where the Union enters the story. Fast forward seven years, and Sabi has just spearheaded the creation and upkeep of the Union’s newest dining option: Saffron. This newest Union dining option serves authentic Mediterranean street food and is located in the Wisconsin Institutes for Discovery Building. 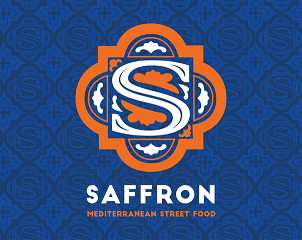 “Saffron offers the Madison community a portal into another cultures food. It’s authentic and unique,” Sabi said. When he is not working, Sabi said he can most likely be found with his three children. He enjoys being active with them, including playing soccer, swimming and riding bikes. In addition, Sabi has spends time teaching his kids the value of healthy food and food preparation practices. To learn more about Saffron, you are welcome to visit union.wisc.edu/saffron.